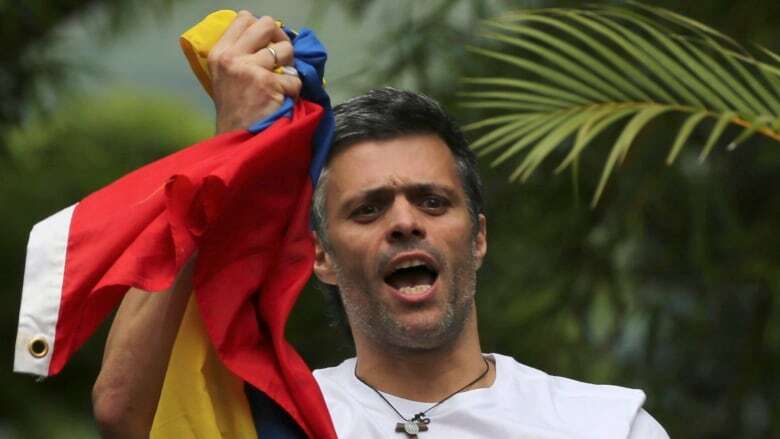 Canada "firmly condemns" the detention of two Venezuelan opposition leaders who were taken from their homes in the middle of the night by state security agents on Tuesday, says a spokesperson for Foreign Affairs Minister Chrystia Freeland. Antonio Ledezma and Leopoldo Lopez were rearrested in what was seen as President Nicolas Maduro's first move against his enemies following a controversial vote on Sunday that gave his socialist government sweeping powers to reshape the country's political landscape and rewrite its constitution. Lopez, a 46-year-old hardliner, was being held under house arrest after he was convicted and sentenced to more than a decade in prison on charges that included inciting protesters to violence in 2014. He was released last month to serve the rest of his term under house arrest. Ledezma, 62, a veteran politician and the former mayor of Caracas, was also indicted for plotting to overthrow Maduro's government in 2015 and had been held under house arrest. In a Facebook post explaining its decision, the court said the men were removed from their homes after "official intelligence sources" determined there was an "escape plan" involving both men. "Canada is gravely alarmed by the unlawful detention of Venezuelan opposition leaders Antonio Ledezma and Leopoldo Lopez, the latter with whom I spoke less than two weeks ago," Foreign Affairs Minister Chrystia Freeland said in a statement Tuesday. "Their detention is further proof of the regime's dictatorial intentions." Canada calls for their immediate release, as well as the release of all political prisoners, Freeland said. "The Maduro government's campaign of repression is unacceptable. We urge the Venezuelan government to respect the autonomy and authority of the national assembly and other independent institutions," Freeland said, referring to the newly elected National Constituent Assembly's power to dissolve the opposition-controlled Congress. 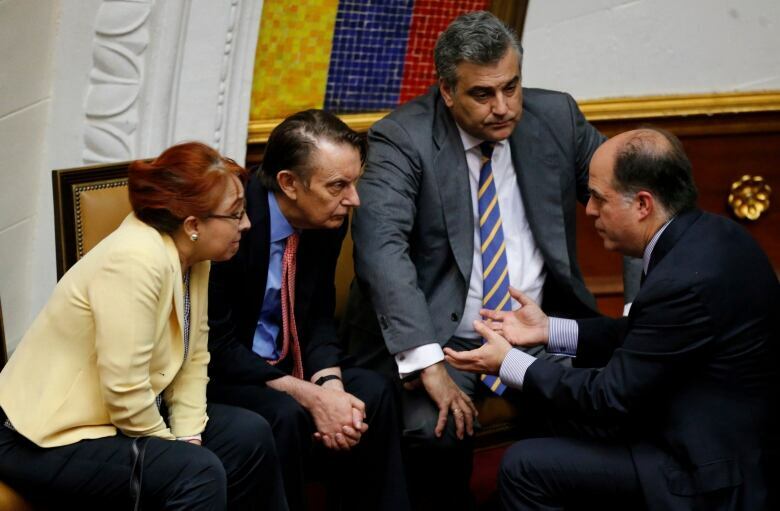 "The National Assembly is the only legitimately elected legislative body in Venezuela: it ‎must be respected and its full powers must be restored." Canada will continue‎ to work with like-minded partners in support of the Venezuelan people, said Adam Austen, Freeland's press secretary. Conservative MP Peter Kent, the foreign affairs critic for the Official Opposition, urged the Liberal government of Prime Minister Justin Trudeau to follow the U.S. lead and "issue meaningful sanctions on the Maduro regime." "The arbitrary rearrest of Venezuela's opposition leaders is further proof of President Maduro's desperation and illegitimacy," Kent said. "We wholeheartedly condemn the extreme socialist policies which have plunged Venezuela into chaos while inflicting mass starvation on its people." The U.S. government branded Maduro "a dictator" Monday and announced that it's freezing his U.S. assets, following the controversial vote for the National Constituent Assembly. Canada commended the U.S. action but was not ready to follow U.S. sanctions yet, a Canadian official speaking on background said Monday. 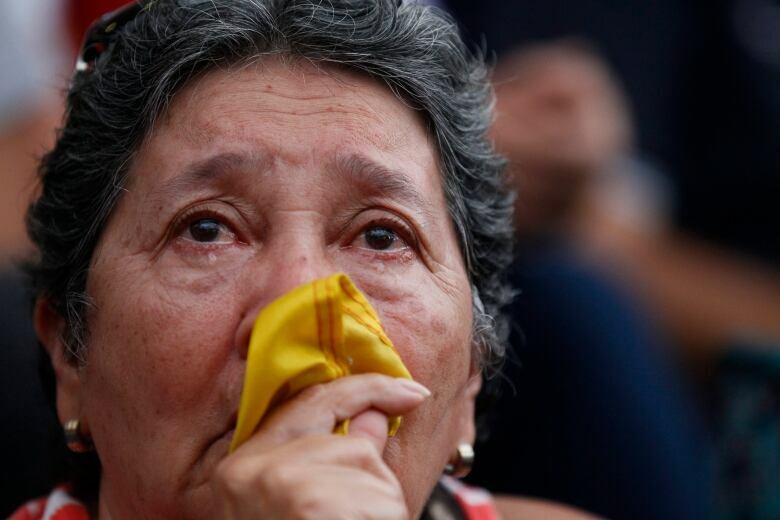 NDP foreign affairs critic Hélène Laverdière said in an emailed statement Monday her party remains deeply concerned about the human cost of the political, economic and humanitarian crisis in Venezuela, which has hit ordinary people hard with shortages of food and medicine.